New antiviral drugs offer the chance to eliminate hepatitis C from China, but over-optimistic predictions need a reality check, says a leading Chinese virologist. In an article in Gastroenterology, Dr Lai Wei of the Peking University People’s Hospital and the Beijing Key Laboratory for Hepatitis C and Liver Disease Immunotherapy says there has been a lot of hype about new pipeline drugs bringing about a "hepatitis C revolution". It is claimed that a whole new range of drugs soon to be released will be able to treat the intractable blood-borne viral disease much more effectively and quickly than current treatments - and most importantly without the debilitating side effects of current drug regimens based on interferon. 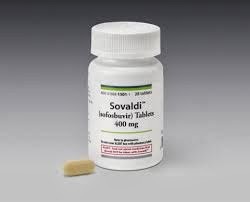 It is said that drugs such as simeprevir and sofosbuvir will be able to cure hepatitis C infection in 95% of people after a single 12-week course of treatment. If this is true then these drugs could potentially have a major impact in China, which has one of the highest rates of hepatitis C in the world. It is estimated at least 2% of the Chinese population - about 30 million people - have chronic hepatitis C infection. The disease burden for China in terms of hepatitis C-related cirrhosis, liver failure and liver cancer is huge. Hepatitis C is a chronic disease, and many of those with the infection remain undiagnosed and untreated until it progresses and the severe consequences such as cirrhosis and liver cancer become apparent. In China fewer than 3% of people with the infection are diagnosed, and only half of those diagnosed get any treatment. And the treatment itself is not very effective or tolerable. The best available agents are peg-interferon and ribavarin, which can produce a 'sustained viral response' in about 70% of patients with a 24-week course - but only in people with certain types of HCV (genotypes 2 or 3). Treatment success rates are much lower for people who have HCY type 1, even with much longer treatment courses. The side effects of treatment resemble a very bad case of flu, and many patients simply cannot or will not tolerate these effects and stop treatment. The appeal of the new anti-hepatitis C drugs is therefore obvious. They are more effective and bettwr tolerated. Within five years it is theoretically possible for all types of hepatitis C to be cured with a single course of treatment lasting as little as eight weeks. The reality for China, however, is not so simple. There are three major barriers to eliminating hepatitis C from China. 1. First and foremost is the problem of identifying the 97% of people in China who have hepatitis C infection but are not diagnosed. This will require some kind of screening program - and this may be very expensive unless there is an accurate and affordable test available. Identification of hepatitis C also requires the public to be aware of the disease and that it can be treated. 2.If patients with hepatitis C are identified they then need to be able and willing to access treatment. Many people with hepatitis C live in rural areas. Even in cities, China does not have a sufficiently large medical workforce with the skills to accurately diagnose hepatitis C and provide appropriate tailored treatment and follow up. A major medical workforce expansion and education program would be needed. In summary, China has potentially much to gain from the new era of hepatitis C treatment - but huge practical problems lay ahead in identifying people with the infection and getting them into treatment.